The term “Golden Rule” and the various wordings of the Golden Rule familiar to most Americans are a relatively recent historical phenomenon, emerging in the 1800s. 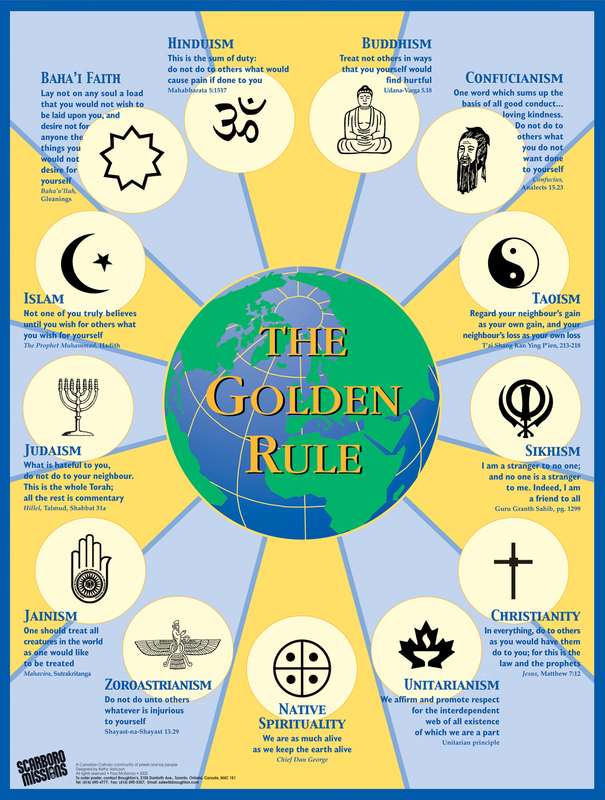 But the basic idea of the Rule is ancient–variations of the Golden Rule are found across history and in societies around the world. 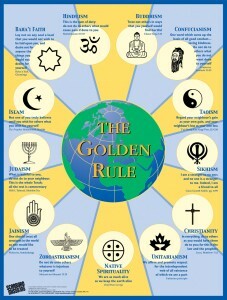 Golden Rule expressions can be found in the religious and non-religious literature of East and South Asia. Hinduism is the oldest religion in South Asia, going back more than 3,000 years. Jainism is also an ancient Indian religion. Buddhism developed out of Hinduism about 500 BCE. Sikhism came into existence in the sixteenth century CE as a result of both Hindu and Muslim influences. All these traditions have variations of the Golden Rule. The unknown authors of Matthew and Luke both wrote their gospels about 80 CE.